More on the Prepac Series 9 Designer 6 Drawer Dresser (Black) BDBR-0560-1 below. 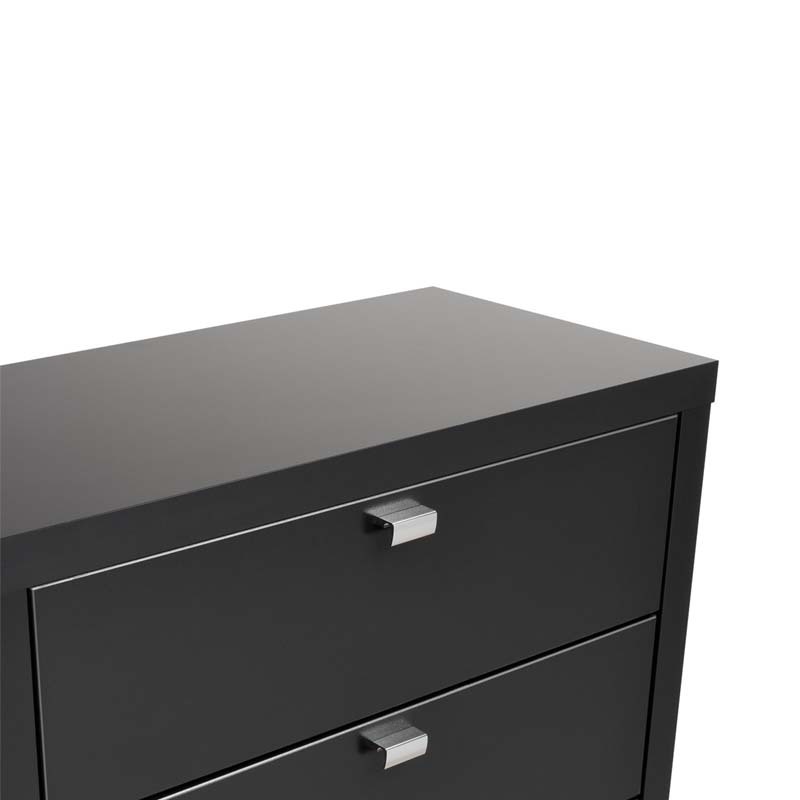 The Black Series 9 Designer 6 Drawer Dresser has bold, thick tops and sides that will provide your bedroom with a high level of sophistication and style. 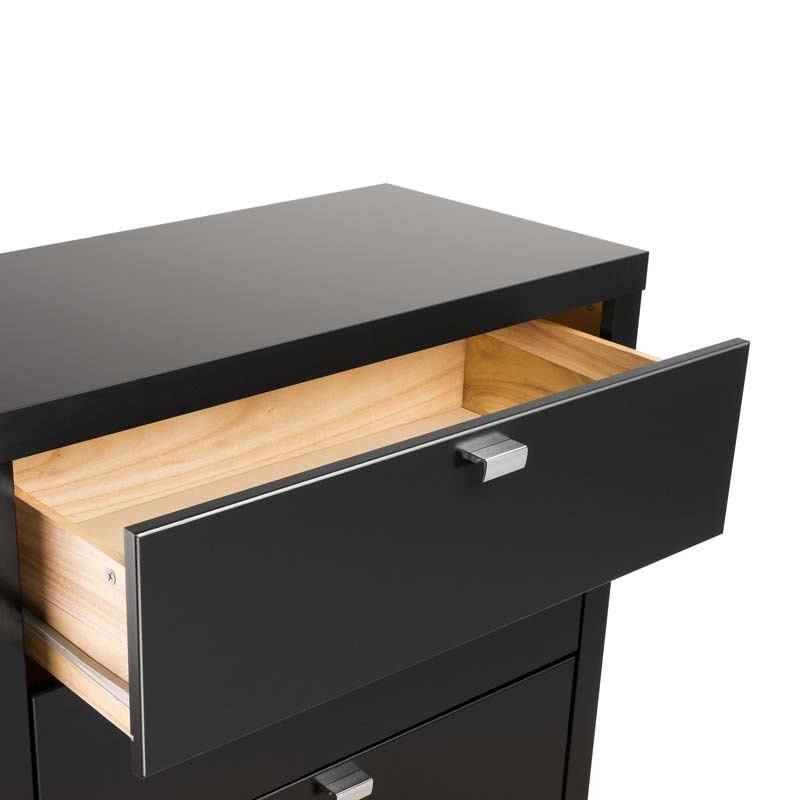 This dresser pairs substance and style with chrome finished metal drawer pulls that provide easy access to six drawers' worth of space for your clothing. Take advantage of this dressers eye-catching thick top and sides by adding decorative candles, photos and more on its top surface. 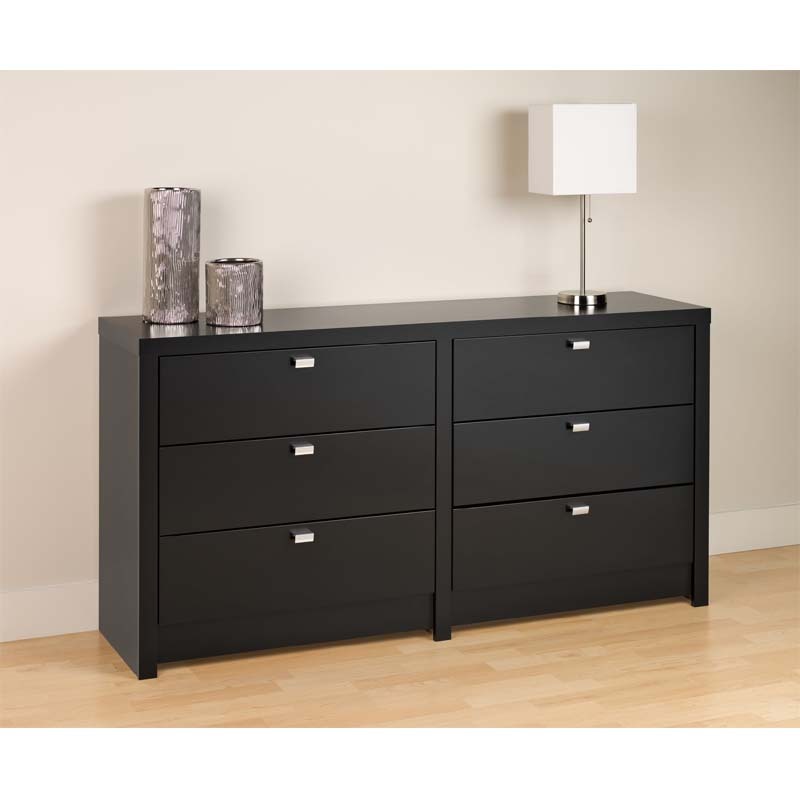 Pair it with other pieces from the Series 9 Designer Collection from Prepac to complete your bedroom makeover.